Whether you're looking for just one freshwater fish or a 200 gallon saltwater tank, we've got you covered. We carry tanks of all sizes, and we even offer custom aquarium solutions for those in need. Our location brings our customers the finest and most beautiful tropical fish, corals, and accessories for your fish tank. From freshwater invertebrates to custom aquarium solutions, we've got it all. In addition to our fantastic selection of fish, accessories, supplies, and tanks, we also bring you the best customer service around town. We specialize in coral reef systems for saltwater fish, and we carry a huge inventory of both fish and supplies at all times. We are open 7 days a week for your convenience, and accept major credit cards. Whether you're an experienced saltwater tank owner or you're looking to start one for the first time, we have the tools and knowledge to help you along the way. Saltwater aquariums require quite a bit of care and attention, and require a bit of learning before you jump into owning one. We can help educate you on the process and how to best set up your new tank, so that your fish thrive in their new environment. We have years of knowledge to offer you and pride ourselves on our great customer service. Stop by and see us today, we look forward to serving you. We offer you the supplies that you want and the brand names that you can trust. Stop by or call us today to see what we have in stock. If we don't have something you want, we can order it. 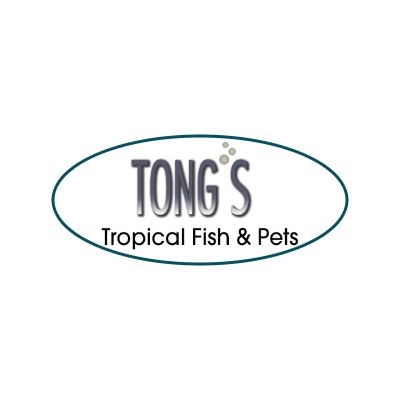 When you choose to come to Tong's Tropical Fish & Pets, you can expect unsurpassed quality and top-notch customer service. Do you not like any of the basic kits or tanks that you see around our showroom? Don't worry! We offer custom-built aquarium solutions. Brand names we carry include Visio, Advance Acrylic, JBJ, Via Aqua, Fluval, Marineland, Marina, Innovative Marine and much more. Give us a call to see what we have in stock.